It’s a bit of a sad App Wednesday for me. A few months ago I got this notification from Microsoft. A week from today, on May 9th, 2012, the Windows Mobile Marketplace for Windows Mobile 6.x devices is going away. Now keep in mind that this does NOT have anything to do with the Windows Phone Marketplace for Windows Phone 7 devices or the upcoming Windows 8 Marketplace. As an old Windows Mobile 6.1/6.5 user & Developer, it’s sad to see this day come. So get your updates now, because in 7 days, finding apps for your Windows Mobile devices is going to be just like it was in the old days! Read below to see the full press release from Microsoft. Windows Mobile 6.x Marketplace service will no longer be available. 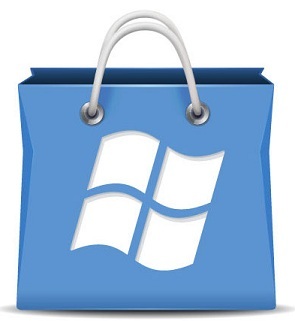 Starting on this date, you will no longer be able to browse, buy or download applications directly on your Windows Mobile 6.x phone using the Windows Mobile 6.x Marketplace application and service. Applications and games acquired from the Windows Mobile 6.x Marketplace service installed on your Windows Mobile 6.x phone will continue to work after the service is discontinued on May 9, 2012. However, additional downloads of these applications and games from the Windows Mobile 6.x Marketplace service will no longer be available. Microsoft recommends you review the applications or games installed on your Windows Mobile 6.x phone and install any available updates in advance of the Windows Mobile 6.x Marketplace service shut-down on May 9, 2012. All phone data, including applications acquired through the Windows Mobile 6.x Marketplace service, data and user-specific settings, will be deleted from your Windows Mobile 6.x phone in the event that your phone is wiped or “hard reset.” Any data on a removable storage card, if present, will also be deleted if your phone is wiped or “hard reset”. One or more parameter values are not valid (Outlook error) Solved!